So... you want to join an alliance. Perhaps you are weighing your options, casting the dice, searching the stars, contemplating 'which superhero would you be', and so forth. Or maybe you're leaning towards the snazzy Halo/WoW/D&D/300/Highlander/[insert genre here] super-bad-a$$ graphic renderings of one alliance page versus another. Hey, we don't judge. 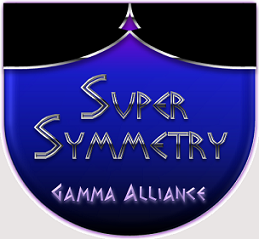 But just in case you'd like some content to enhance your search, collected here for your consideration are some selected factoids about the SuperSymmetry (Sym) Alliance. We thank you for your interest in Sym, and for visiting our humble forum. Peace and prosperity, to you and your kingdom. Last updated January 15, 2010.